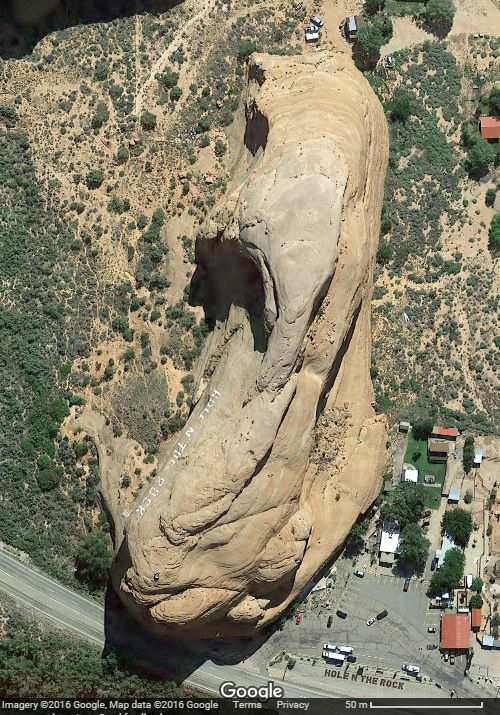 Hole N' The Rock is an amazing house on Hwy 191, south of Moab, Utah, carved single-handedly, from a sandstone rock. 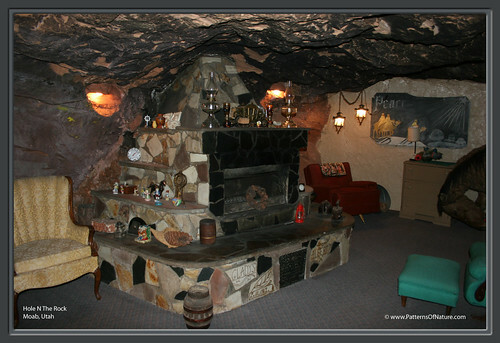 Albert Christensen, a miner, began in 1940 to blast and drill into a solid rock and in 12 year he excavated about 1415 Cubic Metres (50,000 cubic feet) of sandstone from the rock and created a 14 room home for his wife Gladys. They used part of the house as a diner. 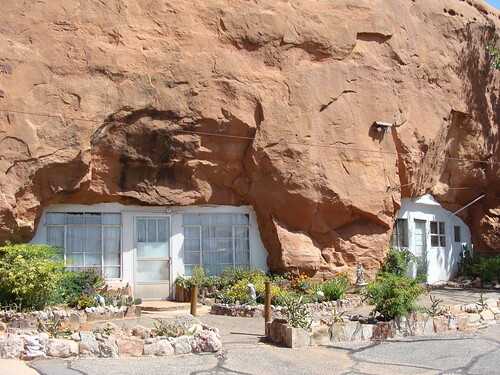 After Albert's death in 1957, his wife used few rooms as cafe and gift shop. 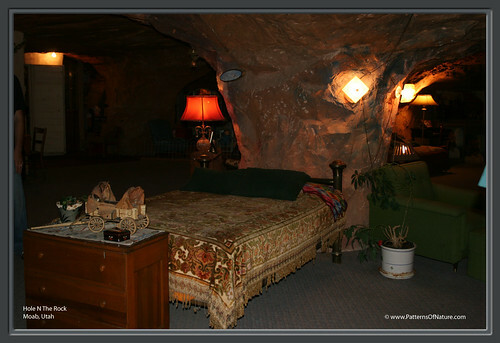 Gladys died in 1974 and in addition to the cafe and the gift shop, rest of the house is now privately owned site with gift shop, trading post, and guided tours of the home. 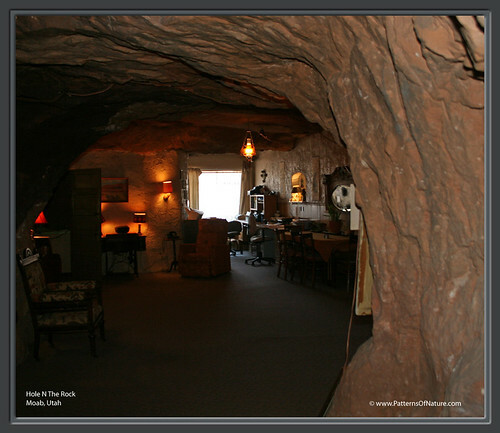 On display are Albert's paintings, Gladys's doll collection, several of the original furnishings and many of the tools used to create the house. The 14 room house with a floor space of 465 Sq. Metres (5,000 sq. 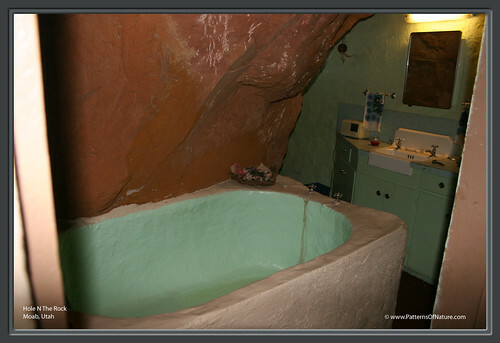 ft.) also contains a fireplace with a 19.8 metres (65 ft.) chimney drilled through the rock and spacious bathroom with large bathtub dug into the rock. Albert was man of multifarious talents. 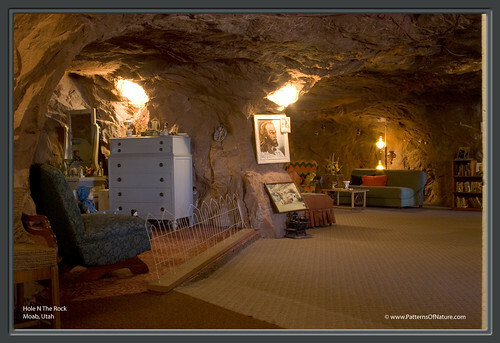 Besides being a miner he was also an artist, sculptor and taxidermist. 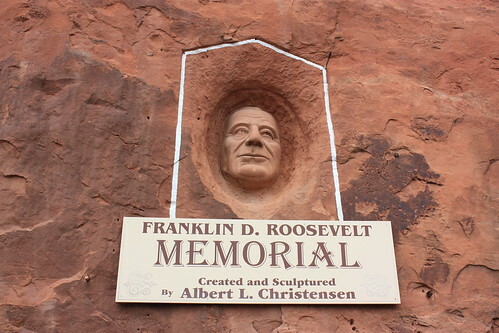 Several of his paintings adorn the house and a head of Franklin Roosevelt is carved into the alcove near the entrance. The outdoor of the house also has a small zoo and some sculptures. 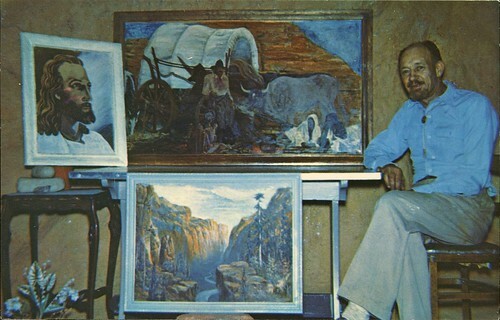 Albert Christensen with some his paintings.